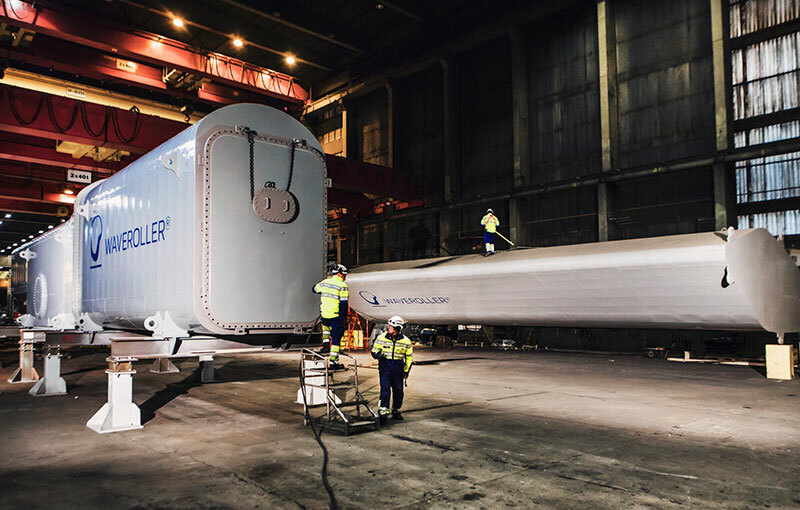 WaveRoller provides a reliable and predictable source of renewable energy to the energy system that compliments more intermittent technologies such as wind and solar. WaveRoller taps the unused ocean energy resource that is readily available also for many locations where other renewable energy sources cannot be fully utilised due to limited available on-shore area or other considerations. The WaveRoller is a device that converts ocean wave energy to electricity. The machine operates in near-shore areas (approximately 0.3-2 km from the shore) at depths of between 8 and 20 meters. Depending on tidal conditions it is mostly or fully submerged and anchored to the seabed. A single WaveRoller unit (one panel and PTO combination) is rated at between 350kW and 1000kW, with a capacity factor of 25-50% depending on wave conditions at the project site. The technology can be deployed as single units or in farms. The back and forth movement of water driven by wave surge puts the WaveRoller panel into motion. 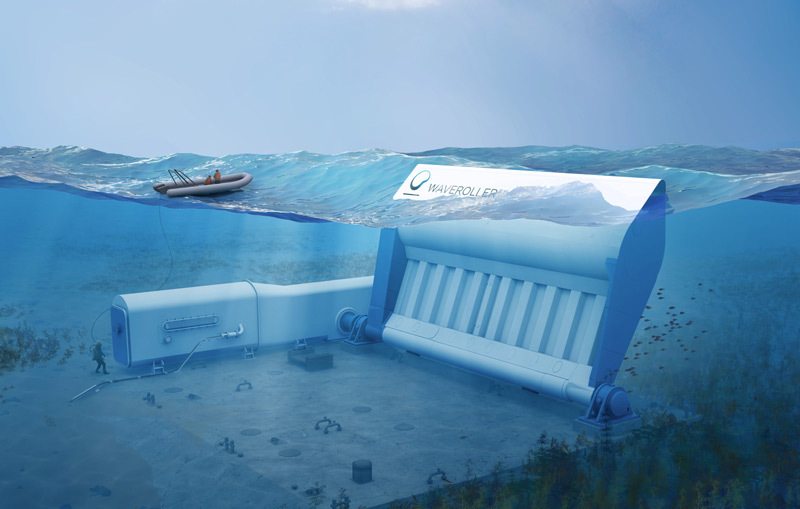 To maximize the energy that the WaveRoller panel can absorb from the waves, the device is installed underwater at depths of approximately 8 – 20 meters, where the wave surge is most powerful. A single panel absorbs 1.5-2 MW of power from the wave surge. The panel spans essentially the entire depth of the water column from the seabed up to the water surface level. As the WaveRoller panel moves and absorbs the energy from ocean waves, hydraulic piston pumps attached to the panel pump hydraulic fluids inside a closed hydraulic circuit. All the elements of the hydraulic circuit are enclosed inside a hermetic structure inside the device and are not exposed to the marine environment. Consequently, there is no risk of leakage into the ocean. The high-pressure fluids are fed into a power storage and smoothing system, which connects to a hydraulic motor that drives an electricity generator. The electrical output from this renewable wave energy power plant is then connected to the electric grid via a subsea cable. It converts movement to electricity using an onboard power storage and hydraulic system – smooth and grid-compatible power output, ability to establish and support grid and low maintenance design with inverters on shore. The surge phenomenon is a universal physical event that occurs when waves approach the shoreline. Waves in deep water are essentially water particles moving in a circular motion. As waves approach the shore, they start "shoaling" as some of the water particles moving in a circular motion meet the seabed. 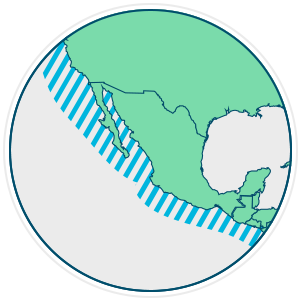 This interaction with the seabed elongates the circular motion into a horizontal elliptic shape. This in turn amplifies the horizontal movement of the water particles in the near-shore area, creating a strong surge zone, which is the optimal location for the WaveRoller. The WaveRoller technology is well positioned to replace environmentally unfriendly power sources with clean and renewable energy generated from ocean waves. Harnessed by WaveRoller, this blue energy source is not only more benign to the environment than fossil fuel technologies but it also poses fewer risks than nuclear energy and is on par with, or even superior to other renewable energy sources. A WaveRoller does not produce any emissions during operation. Other emissions during its lifecycle, from building the devices to its disposal, are significantly smaller than those of plants powered with fossil fuels. The WaveRoller utilizes waves, which carry far more energy than wind in a site of comparable size. A WaveRoller provides about seven times more nominal power generating capacity than a wind turbine in a similar sized area. Apart from its low space requirement, a WaveRoller device operates underwater and has a very low visual impact. The panel height is designed to minimize or completely eliminate its protrusion above the water surface, ensuring the preservation of the natural beauty of the sea and coastline. The WaveRoller follows the movement of the water, which makes it very friendly to the surrounding marine life. The hydraulic, mechanical and electrical systems are also fully sealed inside the WaveRoller hull, which protects the marine life from noise and other possible pollutants. 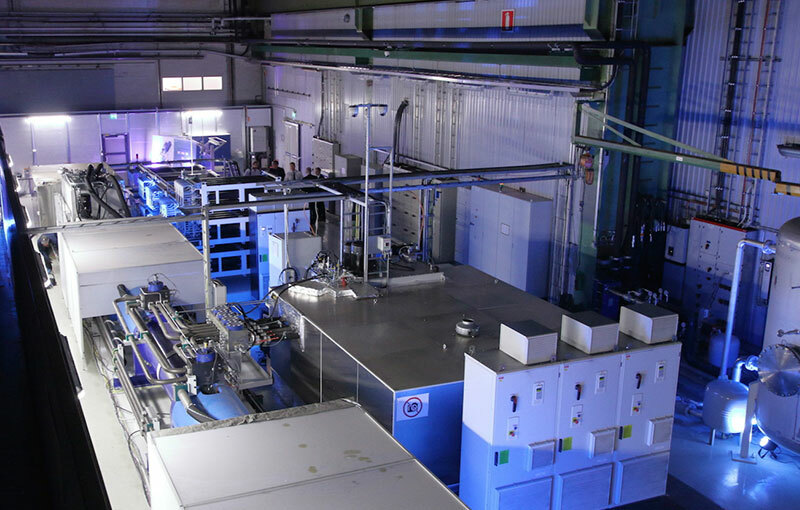 AW-Energy operates a world-unique dry-land test facility for the WaveRoller technology in Finland. With the test facility, AW-Energy can make significant cost and time savings by being able to test and fine-tune PTO units in factory conditions, instead of having to carry out expensive and time-consuming ocean tests for each separate unit. 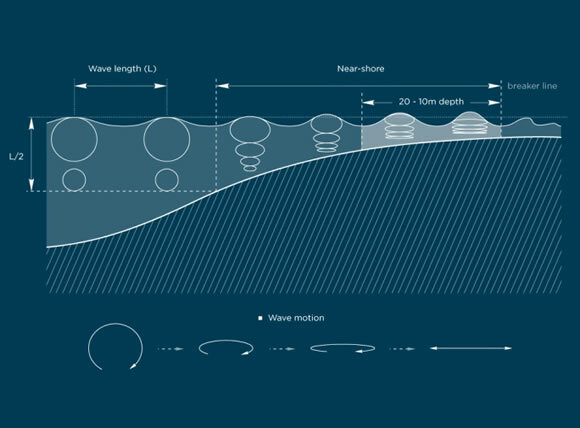 The WaveRoller Test Centre operates a wave machine consisting of a hydraulic piston creating the immense forces matching those of waves in the oceans. 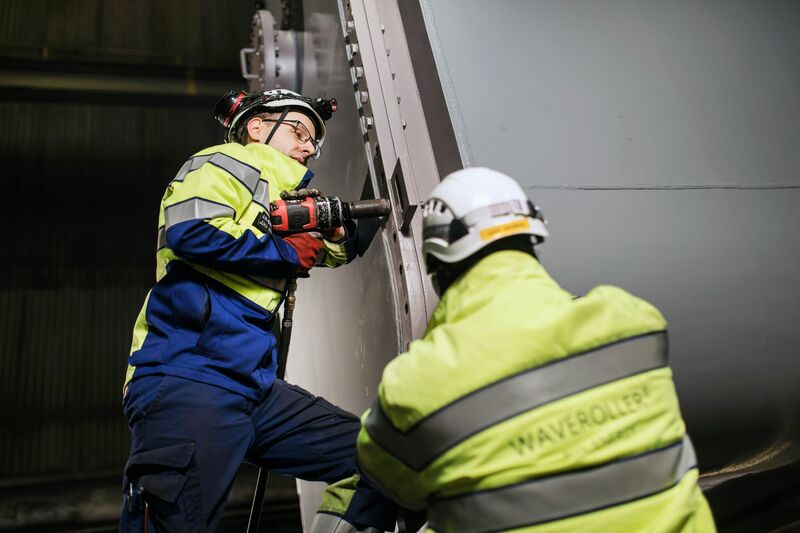 With torques of more than 3 MNm the wave machine feeds the WaveRoller Power Take Off system (PTO) with energy levels similar to real life conditions. Stochastic wave conditions recorded anywhere in the world can be fed into the system allowing the wave machine to deliver identical input. With up to 2 MW of input power, the wave machine can simulate some of the most energetic wave conditions in the world. AW-Energy has several WaveRoller projects currently under development or in the delivery phase. All of these projects leverage public support for innovative renewable energy technologies. At the same time, they all constitute commercial deliveries from AW-Energy's perspective. 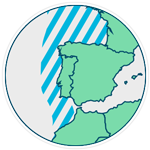 Overall, AW-Energy is currently working with a portfolio of projects and project opportunities spanning 4 continents. The project is located in Peniche. Site licensing and permitting are in progress. Grant financing has been secured and the investors/customers are major utilities. The project is located in Peniche. The site is fully licensed and permitted. Funding and support are being arranged. The project is located in the North-Western part of Mexico. Funding and support are being arranged. 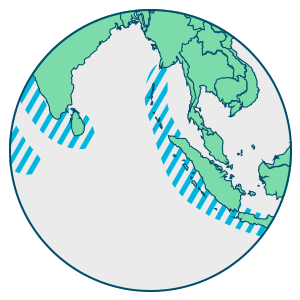 The project is located in a South Asian country. The investor/customer is the national government. Grant financing budget has been allocated by the project sponsors. We are currently sourcing suppliers for WaveRoller serial production. Goods and services in demand include steel works, castings, machining, bearings, hydraulic components, electrical components and several other procurement categories. We expect the potential suppliers to support us in meeting the cost-efficient and reliable ramp-up of WaveRoller production. Standard quality requirements are to be met by the supplier. Previous similar references from renewable energy, marine or offshore industry applications are a merit when considering the best suppliers for WaveRoller projects. Sufficient management systems certified by reputable accreditation body are also a requirement and any interested suppliers should be able to demonstrate a satisfactory level of quality assurance activities. We also appreciate willingness and capability to jointly develop WaveRoller specifications to advance productivity.